Confused by all the model numbers in the Shark cordless vacuum cleaner range? So was I, so I decided to dig into the details. Below is what I found out, along with an in-depth review and comparison of them. You’ll also learn what the “T” model is and the 4 key differences between the 200 and 250 models. Plus…how the Shark compares to he GTech AirRam Mk2. Note: This independent review includes all the details you need to know about all 4 models above. If you would prefer a corded machine, I have reviewed all the Shark rocket vacuums. You may have noticed that there are multiple model numbers for what appears to be the same cordless vacuum. It’s quite confusing, so here is what you get in the box and the difference between the models. 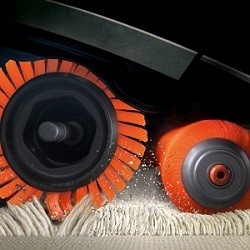 The “T” version comes with the deep-cleaning motorised pet tool. Note: The motorised pet tool requires additional battery power to operate so using this for extended periods will reduce run-time. That’s why a 2nd battery is a good option if you get the “T” model. There are a 4 notable differences between the IF200 and IF250 machines which are. This is true regardless of whether you have the UK or UKT version. If you want to see another comparison, Shark have information here which includes prices. This vacuum has two brush heads. The idea being that you don’t need to switch heads between hard floors and carpet. There is one softer brush and one harder one. In theory it should help pick up more dirt and grime. It’s a great idea and does work well, but some people have mentioned that dog hair gets caught in the brushes more easily. That’s where the pet specific brush attachment comes in, which is only available on the “T” model. I really like this idea because it makes it so easy to get under the sofa, tables and chairs and also storing it is so much easier. The flexible tube and folding down handle make this Skark vacuum so much more compact but still like an upright. It’s so simple to release the head which allows you to bend it under objects effortlessly. My only concern would be the durability of its design as over time it could get broken, but it does come with a 5 year warranty so that should help. The lithium-ion battery lasts around 22 mins from a full charge. If you use full power you might need two batteries, which is what they provide with the Shark 250 models, but not with the 200 model. Note: The quoted 44 min run-time on the 250 models is because you get two batteries. You can purchase an extra battery and switch it out mid-vacuum if needed. 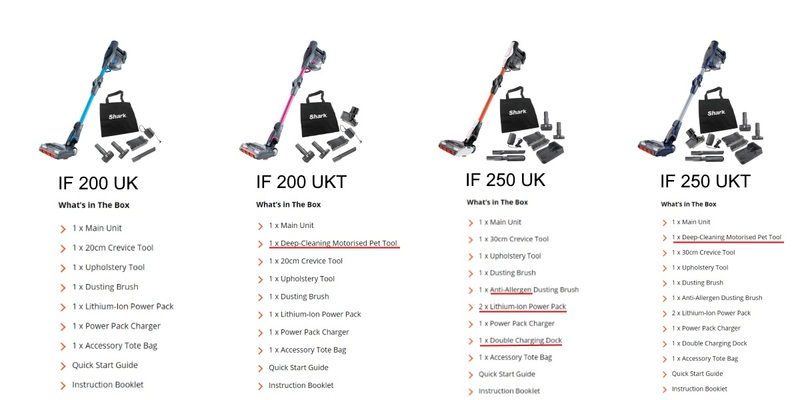 If you opt for the 250 model (see differences above) you will get 2 batteries and a dual charger. 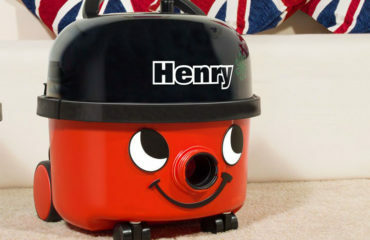 Having no cables should make moving around the house faster so it will be quicker to finish the hoovering. Which Model: All models use lithium-ion battery power, but the 250 models come with 2 batteries and a double charging dock whereas the 200 model comes with 1 battery and only the single charging unit. The “T” model (see above) comes with a separate head for dealing with pet hair. 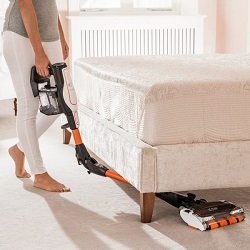 It’s a motorised head to tackle the worst areas of your carpets where the dog/cat hair are. It’s a great idea to include this, especially when you want to clean the dog bed. It prevents the brushes in the standard head getting blocked. If you have a pet and they shed a lot of hair this is a worthy upgrade to include in your purchasing decision. Which Model? Only the “T” (IF200UKT & IF250UKT) models come with this option. It uses extra battery power because it is motorised. The cordless Shark vacuums are pretty versatile because they are in effect two vacuums in one. Kind of like the GTech Power Floor, they have a hand-held vacuum in addition to the upright. 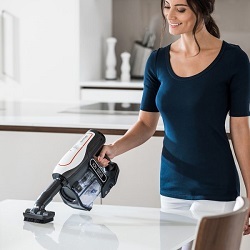 The hand held unit simply detaches from the main machine and you can add any attachment you want, such as the upholstery cleaning tool or dusting brush for this higher ceiling areas. This is excellent if you want to vacuum the car or any area away from the home or if there are areas of stubborn pet hair. If you’re doing a deep clean of your house and car you’re likely to need more than 22 mins run time, which is why I’d recommend getting the two battery model. Which Model? All models can be changed into hand-held vacuums. 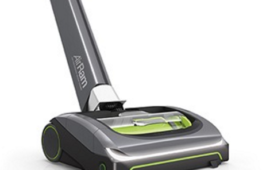 There is a lot of talk about how the electric cordless vacuums compare to one another. 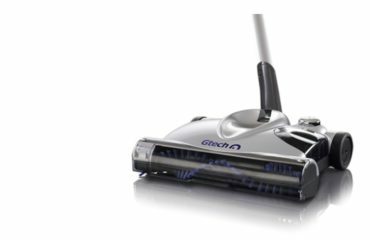 GTech are a big player in the market, along with Dyson. 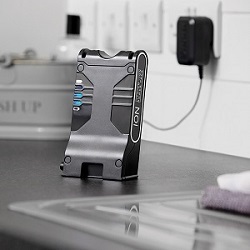 Shark are another company who seem dedicated to making an impact in the cordless range. Everyone is moving across to this style of machine so the technology and performance is constantly improving. 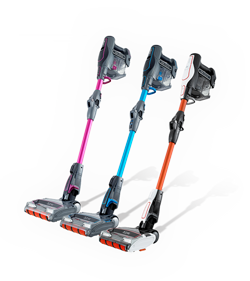 Shark claim that their vacuums have 5x more power than the GTech, which they have had independently reviewed, so it’s hard to dispute it. You can see more about that here. 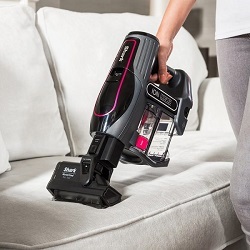 You can check out the reviews for yourself of the Shark vacuum on their site right here. It gets a lot of good reviews. The only negative is the battery life, but the 250 model comes with two batteries or you can get an extra battery direct from Shark here if you prefer the 200 model. This is an excellent product which comes with some great tech, it’s easy to store and powerful. I’d recommend getting the extra battery especially if you get the “T” model which has the pet hair tool because it will use more battery power. Or consider one of the 250 models which come with a dual battery charger and two batteries. All the details can be found on the Shark website. You have two options for getting the Shark. Either direct from the manufacturer (Shark) or from Amazon. It’s totally up to you which one you decide to take, but I like dealing direct with the manufacturer and they offer a 1st class customer service should anything go wrong. 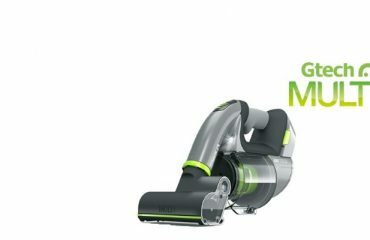 An impressive range of compact, powerful and versatile cordless vacuum which will not disappoint.